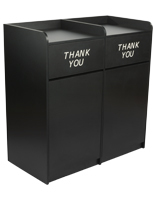 This rigid plastic liner makes changing out trash cans an easier and cleaner ordeal. 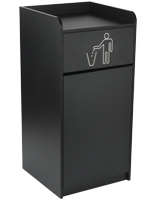 For use with compatible containers and waste management systems, this product effortlessly glides out of your garbage container for quick changes. 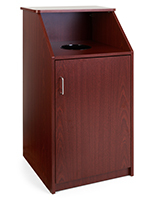 This heavy duty plastic liner is resistant to punctures from sharp objects, making it a perfect solution for restaurants, offices, outdoor venues, and more. 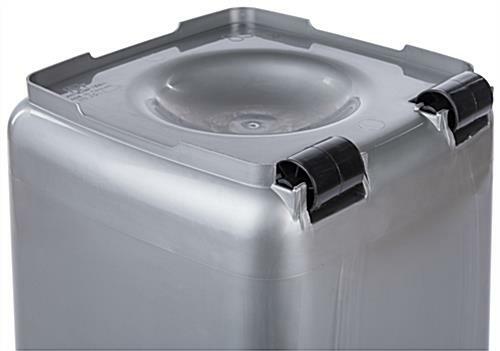 Edge wheels and a wider lip with handles make transporting waste stress-free. With its easy-to-clean surface, this product can be washed and sanitized to keep your cans clean and prevent unpleasant odors. Despite its heavy duty construction, this gray insert remains lightweight. 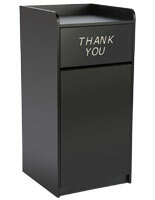 Spend less time struggling to clean and maintain your trash receptacles with this plastic liner. 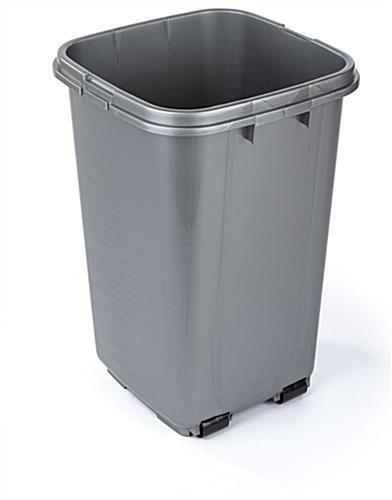 A Better Fit: At 27" tall (roughly 1.5" shorter than the previous model), this liner fits effortlessly into our best-selling trash receptacles. 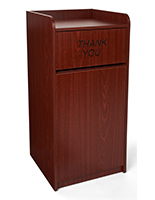 Less Mess: We've increased the overall width by almost two full inches, effectively stopping trash from falling around the sides. No more extra cleanup when emptying. 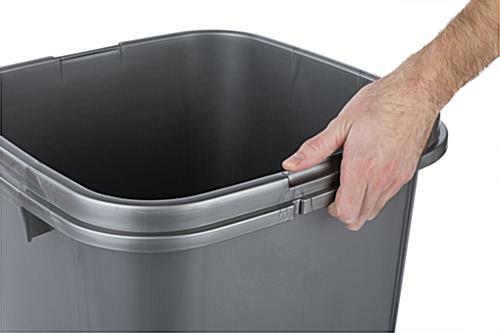 Easier Emptying: A larger lip and handles around the top makes removing the liner from your receptacle easier than ever. 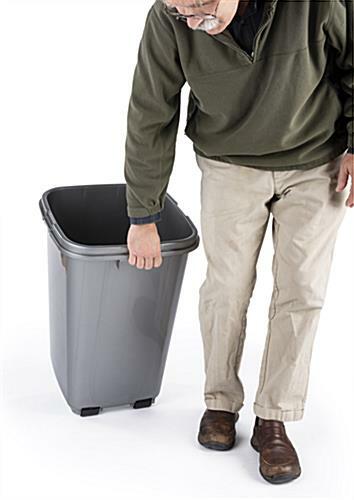 Portability: Two edge wheels make hauling trash to a far away dumpster quick and easy. 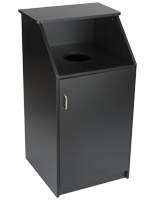 Slightly elevated to allow the liner to remain flat and stable inside the receptacle. 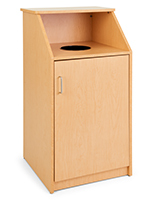 Please Note: Trash receptacles are sold separately. 17.8" x 27.0" x 17.8"
15.8" x 25.3" x 15.8"